Quad-City immigrants spent Friday learning how to finance businesses, start tax plans, hire employees, understand legal jargon, use social media and create innovative marketing. Sa, a native of China and founder of Community CPA, calls the summit a "crash course in 18 different topics," also featuring talks about zoning, payroll, building codes and other processes hard to understand, especially for those unfamiliar with American government. "I think because a lot of new immigrants here are refugees, given that particular background, a lot of them come in with a lot of fear of the government," she said. "Asking questions to the government is not as easy as it is for people who were born here and know their rights, know what to ask and what to reject." Kim said many of the people the group works with have no idea where to go to start a business. And it's often a scary process. "A lot of them, wherever they're coming form, have faced a lot of injustice. So that doesn't really allow them to build trust immediately for the authority or financial community," he said. "At IES, everybody's on the same platform. We have one goal and that is to build each other up and support each other. When trust is established and a connection is made, they can continue to share that information to the rest of the community." Des Moines office is understruction, but the office will operate as normal with hours from Monday through Saturday 8:30am to 5:30pm. Thank you for your consideration and our Firm cannot wait unveil the new and improved Community CPA building. On Monday, August 13th, Immigrant Entrepreneurs Summit held the Ambassador’s IES at the World Food Prize Hall of Laureates in Des Moines, Iowa. The event gathered entrepreneurs from all over the country to celebrate its launching of the International Entrepreneurs Summit. After a decade of history in Iowa, IES has expanded Illinois this on this past July 27 at the TaxSlayer Center in Moline, Illinois, for the first time, and now, preparing to have its first conference overseas in China this upcoming September 21. The Ambassador Branstad will host IES and its special guests at his residence in Beijing for dinner on September 19. On Friday, September 21, which is the United Nations Peace Day, International Entrepreneurs Summit (presented by Immigrant Entrepreneurs Summit and Community CPA) will hold its 1st inaugural international conference at the U.S. Embassy in Beijing, China. 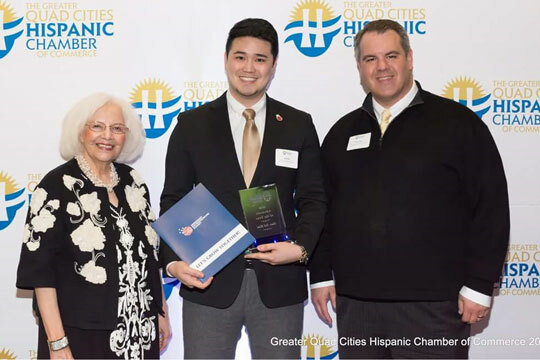 The annual Greater Quad-Cities Hispanic Chamber of Commerce (GQCHCC) gala was held at the Quad-Cities Waterfront Convention Center in Bettendorf on Friday, April 13, 2018. Dan Yul Kim, the Community CPA branch manager and Immigrant Entrepreneurs Summit program manager, accepted his award as Advocate of the Year Award at the event. 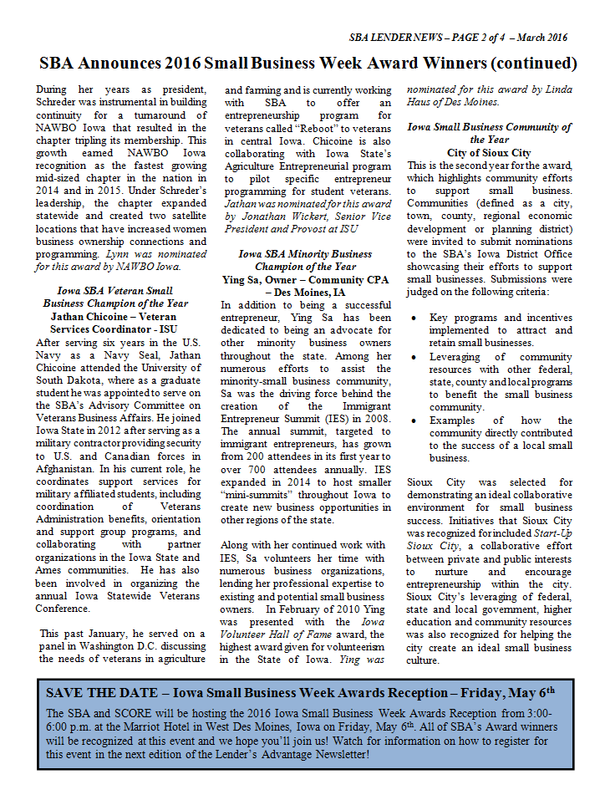 The GQCHCC also gave the following awards that evening: Small Business of the Year, Corporation of the Year, and Community Leadership Award. Spring is upon us and many exciting changes along with it! Effective May 1, 2018, the Des Moines office will be open from 8:30a.m. to 5:30p.m., Monday through Saturday. 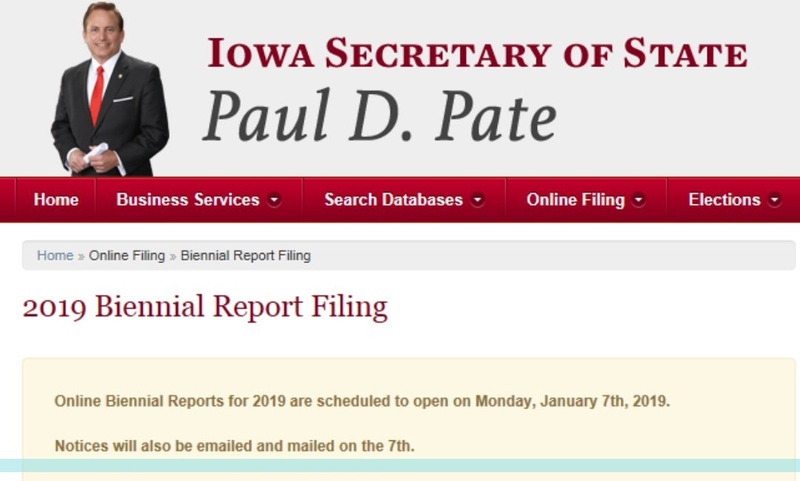 The Iowa City office will be open from 8:30a.m. to 5:30p.m., Monday through Friday. The Internal Revenue Service has announced plans to begin accepting Individual tax returns Electronically on January 29, 2018. 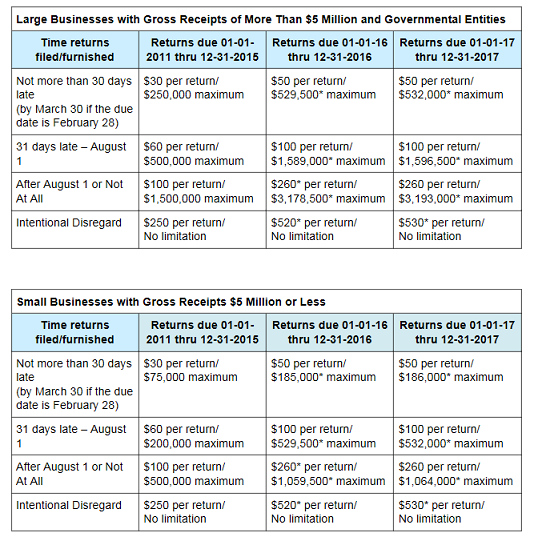 The IRS will begin accepting all Business tax returns on January 8, 2018. IRS accepts taxes starting Jan 29. 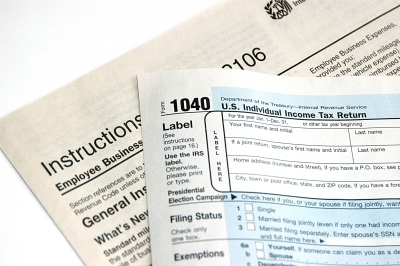 Last tax season, the IRS began accepting returns on January 23. This year the IRS set the date at January 29 to make sure that its key processing systems are ready, and to give it time to determine how late December’s Tax Cuts and Jobs Act will impact tax returns. Our office will begin preparing returns before January 29, and we then will submit the returns when IRS systems open. 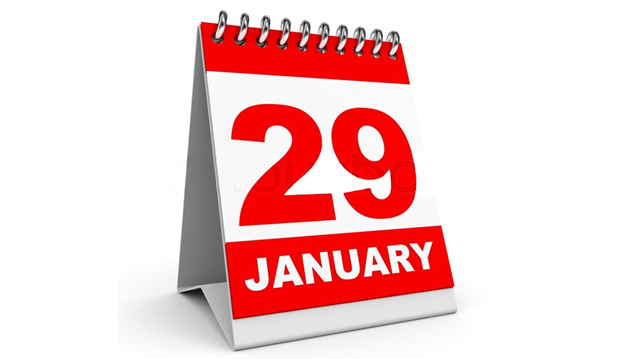 Although the IRS will begin accepting both electronic and paper returns on January 29, paper returns will start to be processed later in mid-February as system updates continue. The IRS said it will not issue refunds claiming the Earned Income Tax Credit and the Additional Child Tax Credit before mid-February. Paying 2018 Property tax in 2017? To our dear clients with question regards to paying 2018 Property tax in 2017 and if there is any tax reform impact. You must paid the property tax before the new year begins. The payment must be made to the tax authority and is gone from your bank at midnight of Dec 31, 2017. 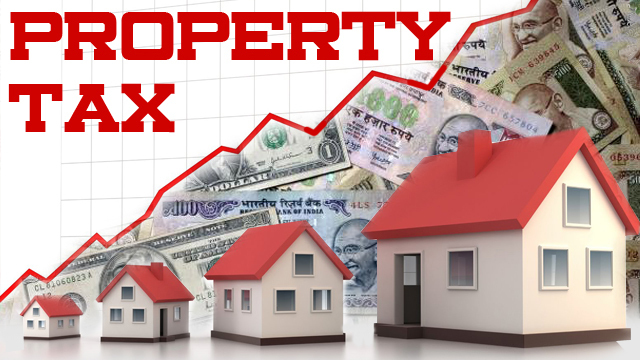 The property tax must be imposed on you. Not your son and not your mother in law. There are more ways to save than to spend more before December 31st! December is the last month to do tax planning. At Community CPA, we understand spending more is the least efficient way to save taxes. In fact, our tax planning will not run your cash flow to zero. As part of our tax planning service, we will educate you the proper record keeping and accounting procedures so you would be prepared whenever IRS desires to audit you. Community CPA & Associates Inc. is truly a global accounting firm. Our multi-lingual staff and unparalleled technology allow the firm to effectively and efficiently serve clients in every corner of the world. The firm works with everyone from startup immigrant entrepreneurs who need help navigating the complexities of doing business in America, to large multinational American-run corporations. Every one of our clients is treated with the same degree of importance and respect. Be part of the Community CPA family and join the Community CPA network today! 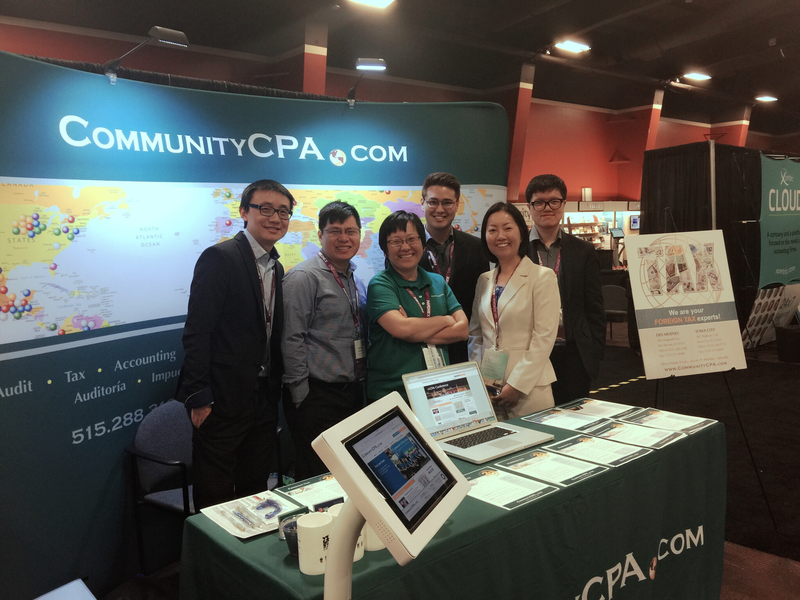 Community CPA had a booth for the first time and was featured as the experts in the area of foreign tax this year at the AICPA ENGAGE Conference from June 12-14th in MGM, Las Vegas. Please note we are still receiving requests and questions concerning foreign tax cases so please feel free to contact us via email at cpa@communitycpa.com or call our office. We are your foreign tax experts! As a reminder: Partnership (Form 1065) Tax Returns as well as the S-Corporation (Form 1120s) Tax Returns are both due on September 15, 2017. Meanwhile, Personal (Form 1040) Tax Returns as well as the C-Corporation (Form 1120) Tax Returns are both due October 16, 2017. Please check with your tax preparer at Community CPA to see how we can further help you. 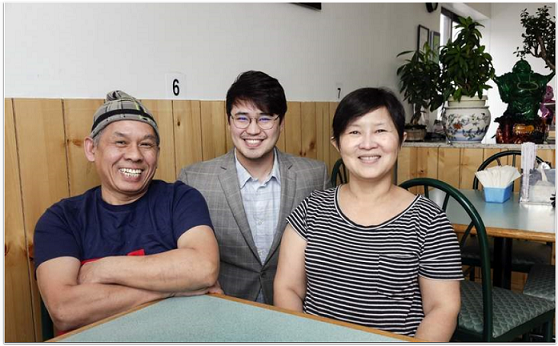 The Gazette newspaper recently featured a new story on Community CPA and how the firm went out of its way to help ensure immigrant entrepreneurs are successful in Iowa. Please click here. There is an increase of anxiety during tax filing more than ever because of the audit. To provide better assurance on tax source data accuracy, and bring you the peace of mind, Community CPA has been providing data match service to our clients for the past 20 years. Ask about data match service today and see if you can take proactive measures to prevent the audit. 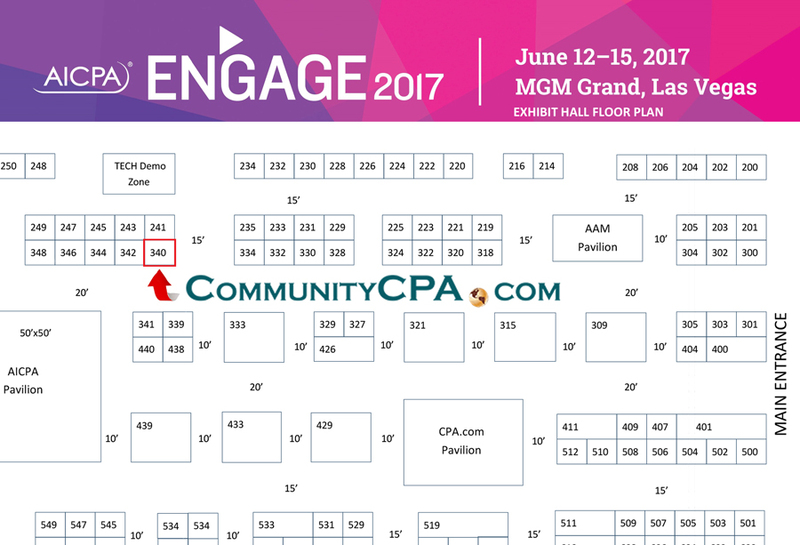 Community CPA will be attending the 2017 AICPA National Conference in Las Vegas from June 12th through the 14th as the Foreign Tax experts. Special Announcement: Community CPA will be attending the 2017 AICPA National Conference in Las Vegas from June 12th through the 14th as the Foreign Tax experts. You can visit us at the booth #340. Some income tax deadlines have changed from last year and they are quickly approaching. Income tax deadlines for 2017 are as follows: personal income tax (April 18), partnership income tax (March 15), s-corporation income tax (March 15), and c-corporation income tax (April 18). Come see us soon! We are always ready to pull up our sleeves and help! Happy Tax Filing! Just a reminder to everyone: the IRS will begin accepting paper and electronic tax returns on Monday, January 23rd, with deadline day pushed back to Tuesday, April 18th. 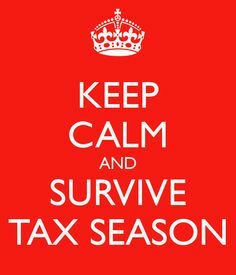 At Community CPA, we not only strive to help you survive the tax season but to thrive during this very important time of the year. Call to see us at our Des Moines (515-288-3188) and Iowa City (319-208-3712) office. 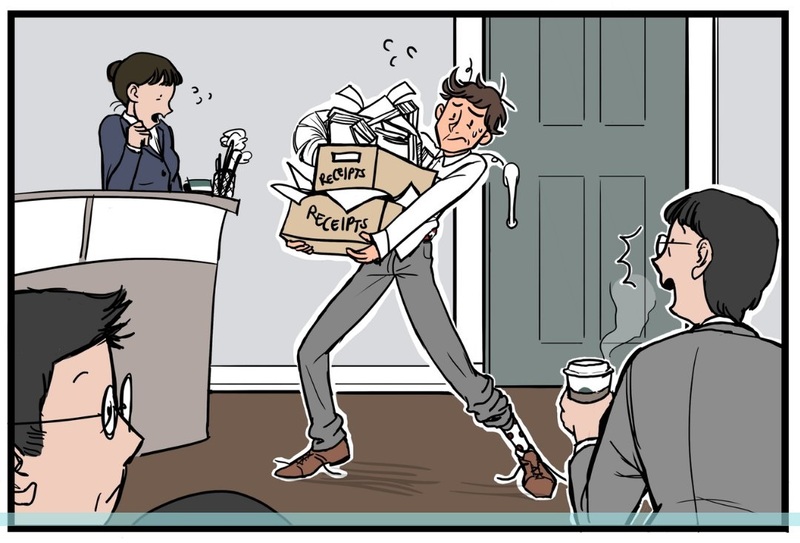 We are here to help make sure you no longer drag your feet to get your taxes done! Reminder: Employers face new Jan. 31 W-2, W-3, 1099, 1096 filing deadline. Penalties for failure to file incorrect returns include $50 per Form W-2 and Form 1099 within 30 days of the due date ($100 more than 30 days of the due date and before August 1 and $260 after August 1). Beginning in 2017, a new federal law requires the IRS to hold refunds on tax returns claiming the Earned Income Tax Credit (EITC) until mid-February. This change helps ensure that taxpayers get the refund they are owed by giving the IRS more time to help detect and prevent fraud. Iowa Department Revenue will also take time to apply its own fraud checks to EITC refund claims. State EITC refunds will not be paid until early March. -You have a big out of pocket medical bills. -You are totally and permanently disabled. -You are qualified to take regular payments from the your retirement plan already. Federal Reserve Chair Janet Yellen said that the labor market doesn’t need a shot of fiscal stimulus any more. The Trump government will not assist on labor market betterment rather will use fiscal resources to boost productivity and focus on the long-term performance of the economy. It sounds like contract labor vs employee battle will come to an end here soon. The IRS will begin accepting paper and electronic tax returns on Monday, January 23rd, with deadline day pushed back to Tuesday, April 18th. 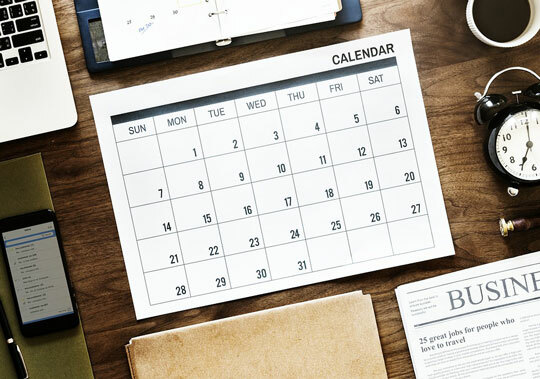 The due date has been extended from the traditional April 15th, as it falls on a Saturday this year, and because Emancipation Day, a legal holiday in the District of Columbia, is observed on the Monday. The agency also warned that some taxpayer will see delays to refunds this year, due to a new law requiring it to hold back refunds claiming the Earned Income Tax Credit and the Additional Child Tax Credit until February 15th. 3. Incur deductible medical expenses. 4. Pay tuition for academic periods that will begin in January, February or March of 2017. Keep in mind, however, that in certain situations these strategies might not make sense. If you are in business, your list of “hurry-up” might be much longer. 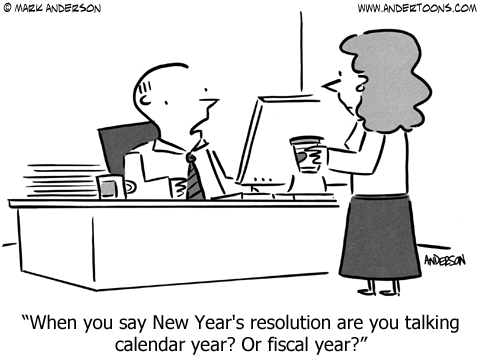 To be absolutely certain about the last-minute savings on taxes, please contact the firm. 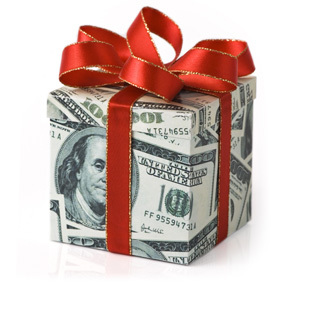 We can help you maximize your tax savings for 2016. Q: Does my company still have to do anything by the 1st of December deadline to satisfy the new overtime rule set by the Department of Labor (DOL)? A: The short answer is NO. For now, the overtime rule will not take effect as planned on Dec. 1, so you, as the business owner, may continue to follow the existing overtime regulations. No change is needed at this time. Q: Is this a final decision that permanently puts an end to the rule? A: No, the overtime rule could still be implemented later down the road. A preliminary injunction is not permanent as it simply preserves the existing overtime rule until the court has a chance to review the merits of the case objecting to the revisions to the regulation. Q: What should I do if my business has already either raised exempt employees' salaries to meet the new threshold or reclassified employees to nonexempt status? A: It helps to know you are not the only one who had to take this course of action. In fact, you should be commended for your efforts to be compliant with the laws of the government. For the employee you felt you would not have raised the salary if it was not for the DOL rule, then you should go back to discuss this with the employee to retract the wage increase or you can always just leave as it is! Encourage them to work harder and prove their contributions to the company. Q: I am still just mad and wondering whether the government has any understanding of business owners? A: The simple answer is NO. But, it is any good business owner's job is to abide by the rules and the regulations of government, educate our law makers, and be involved and invested in the future of our country. Come to Immigrant Entrepreneurs Summit next year on Nov 18, 2017. Better yet, come to the mini event on May 23, 2017 at Ottumwa Indian Hills Community College at 525 Grandview Avenue, Ottumwa, IA 52501. Do not lose your voice and make an effort to be educated, stay relevant, and to be part of the business community and grow with us together. **Both Des Moines and Iowa City offices will be closed in observance of Thanksgiving Day after 1p.m. on Wednesday, November 23rd, and all day on Thursday, November 24th. We will resume our normal business day on Friday, November 25th. Tax Planning may bring you Big Savings! If the only tax saving tool you have is to spend more before December 31, then we are glad you are looking at this message! 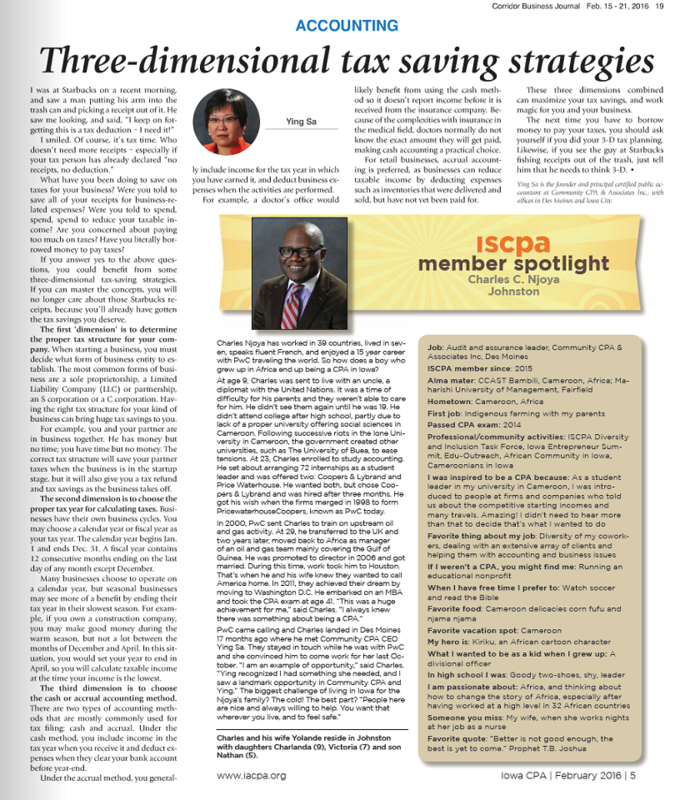 The months of November and December are Community CPA’s tax planning season. At Community CPA, we understand spending more is the least efficient way to save taxes. In fact, our tax planning will not run your cash flow to zero. As part of our tax planning service, we will educate you the proper record keeping and accounting procedures so you would be prepared whenever IRS desires to audit you. Pick up the phone and make an appointment with us before yearend, and you will start a new tax year PLANNED. Call us to setup an appointment at 515-288-3188 (DSM) or 319-208-3712 (Iowa City). **We will be closed in observance of Independence Day on Monday, July 4th. We will resume our normal business day on Tuesday, July 5th. 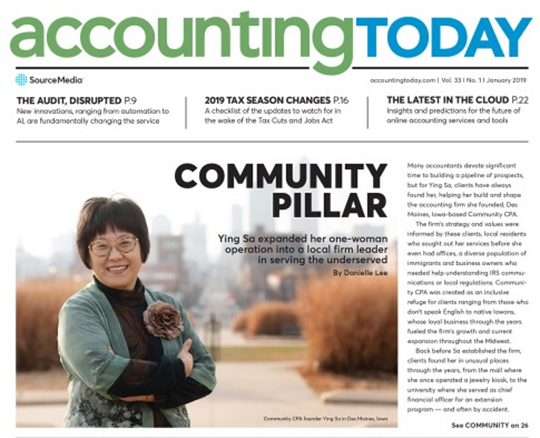 Ying Sa is the founder and Principal Certified Public Accountant at Community CPA. The firm has been recognized as one of the fastest growing CPA firm in the State of Iowa. SaYing business seminars, which were coveted and praised by many partipants in Central Iowa, are being made available in the Eastern part of the state with the firm's expansion to Coralville and Iowa City. Click here to view the seminar topics and the dates available for the summer! SaYing series participants understand these seminars are not limited to the topic set for the night, but Ying oftens answer questions related to business operation at the end of her session. Reserve your spot today as seating is limited. Please call us if you have any questions at 319-208-3712. Class Description: I am retired but I have a wish. I wish that every child gets a present on Christmas day. Do you know that this is not only a good idea, but also a great way to save taxes? 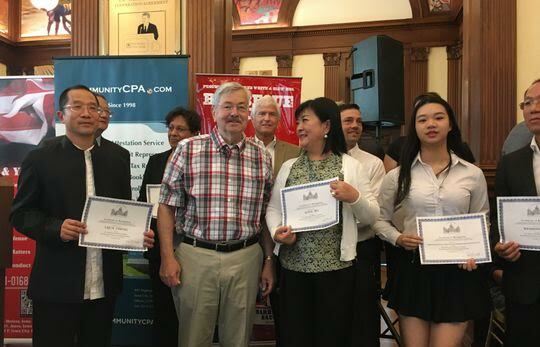 Ying Sa from Community CPA, an Iowa local CPA firm established in 1998, has just the perfect idea to let you retire with style. Most importantly, you can carry your legacy to the next generation without paying any taxes. Ying will explain to you what nonprofit organization is all about and how to utilize the tax structure for big dollar tax saving. We hope to see you there! 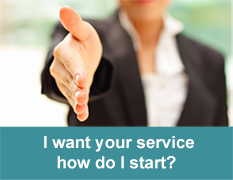 So, you want to start a business? Please sign up for a series of free workshops to help start your business successfully! Call 319-356-5230 or email neighborhoods@iowa-city.com today. Deadline for corporate tax returns (Forms1120, 1120A, and 1120S) for the year 2015, or to request automatic 6-month extension of time to file (Form 7004) for corporations who use the calendar year as their tax year. Payment of the tax is still due by March 15th. As long as you know you will tax due at the time of filing your return, we encourage you to make payment along with the extension form to avoid paying late penalty. Deadline to file individual tax returns (Form 1040, 1040A, or 1040EZ) and partnerships (Form 1065) for the year 2015 or to request an Automatic Extension (Form 4868). An extension provides an extra six months to file your return. Payment of the tax is still due by April 15th. You can submit payment for tax along with the extension form. Deadline for non-profit organizations to file information returns (Form 990) for the year 2015, or request an extension (Form 8868). Due to high demands during tax season, both offices in Des Moines and Iowa City, will be open from 9:00a.m. to 6:00p.m. on Monday through Saturday. Early mornings, nights, and Sundays (outside the regular tax season office hours) are available only by appointments. See you soon! **We will be closed after 1p.m. on Thursday, December 31st and all day Friday, January 1st in observance of New Years. We will resume our normal business day on Saturday, Januray 2nd. We wish you a happy holiday. Free history overview. Before you make up your mind to transfer, simply drop off your 2014 tax returns and supporting documents. Let us review what you have been through. No obligation and no commitment necessary. We will review while you sit back and relax. Help to organize 2015. Make tax time easier. Pull out all of your receipts and records for the year and sort them out in certain order – by cost vendors. For instance, put all the Walmart purchase together and put all the Staples together. If you are too busy, then for additional cost we can help. We are not at all scared of you dropping off a shoe box full of receipts. Take advantage of life changes. When you experience the life events (such as marriage, divorce, or the birth of a child), it is a good time for someone to take a fresh look of things. Re-start and come see us. We will help you from filing a new Form W-4 (“Employee's Withholding Allowance Certificate”) with your employer to make estimated payments, from updating shareholder information to re-establishing an entity so you will not end up with unnecessary liability. Ask for additional ways to deduct business expenses. You may not have felt comfortable to ask your old accountant questions related to more deductions. Maybe because he might have looked at you like you were a thief. At Community CPA, we encourage all of our clients to ask questions. We believe in education and promoting self responsibility. It is your tax and your business, if you do not ask questions who else is going to know? Think outside of the box and ask questions to your tax accountant. Ask them, “Can I deduct the money I paid to my children for helping me around the business?” This is one example of a great question. The answer is YES. Doing so, it shifts income (which is not subject to the “kiddie tax”) from you to your child, who normally is in a lower tax bracket or may avoid tax entirely due to the standard deduction. Consider 3D tax analysis. Going to pay a lot in taxes in 2015? Be sure to consult with Community CPA for 3D tax analysis. It is a guaranteed eye-opening tax planning session for you and your business. It can be implemented right away and the tax saving will start immediately. Audit Prevention Program. Community CPA’s Audit Prevention Program is a proprietary process that is developed by our firm to protect our clients. No other CPA firm programmatically works through the process. With our advanced understanding of the IRS data system, our process guarantees our client to be free from data discrepancy related audit. Almost all the IRS audits are coming from the reporting discrepancy. With our process there would be no discrepancy. Finally, you are ready to switch! Call us at 515-288-3188 today! Welcome to Community CPA. **We will be closed after 1p.m. on Thursday, December 24th and all day Friday, December 25th in observance of Christmas. We will resume our normal business day on Saturday, December 26th. We will also be closed after 1p.m. on Thursday, December 31st and all day Friday, January 1st in observance of New Years. We will resume our normal business day on Saturday, Januray 2nd. We wish you a happy holiday. **We will be closed after 1p.m. on Wednesday, November 25th and on Thursday, November 26th in observance of Thanksgiving Day. We will resume our normal business day on Friday, November 27th. 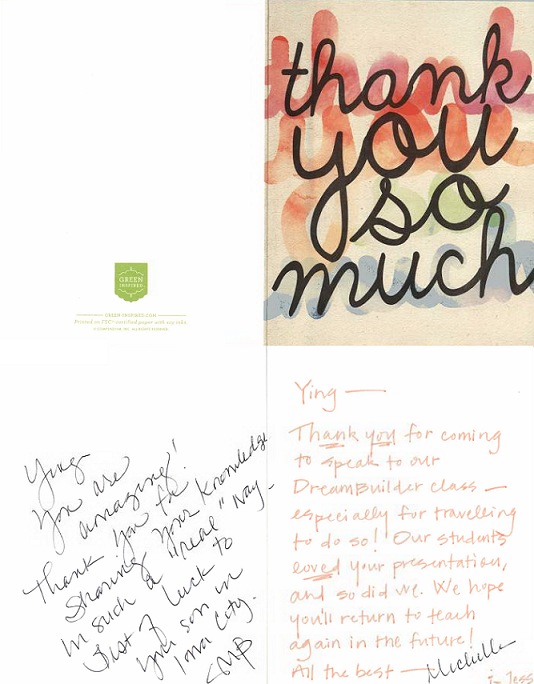 Ying's seminar will cover key business strategies for small businesses during the early stages. The seminar will be in English and Spanish in Ottumwa with partnership with the ISU Extension and Outreach and the local Ottumwa SCORE Chapter. If you are in the area and would like to join us, then please contact Dan Kim at 319-208-3712 to register and reserve your seat. Thank you! If you don’t know your destination how will you know when you’ve arrived? If you don’t have a map – how will you navigate? An entrepreneur/small business person wears many hats and has to spend a lot of time working in the business as opposed to on the business. This often means that the essential activity of business planning gets pushed to the right and the business develops haphazardly. This $10 session will cover affordable, practical approaches to business planning that can be fit into a small business person’s week. The essential elements of a business plan will be introduced as well as the differing emphases a plan will need depending on its audiences. How to Budget Your Growth? Not a lot of people like to budget. This is why only a small percentage of small business owners end up succeeding. Ying will explain how to become the few that succeed. With the right plan and the right amount of discipline, you will be able to budget your growth. Please call Dan Kim at 319-208-3712 to register and reserve your seat. Thank you! How to Retire with Style? Have you ever thought about retirement? Whether you are closer in age or not, we all have thought about retirement at one point. During this session, Ying will give you special advice on how you can retire in style and help you discover new ways to protect your money for the new genation of retirees. Please contact Dan Kim for more information at 319-208-3712. Thank you! During this session, Ying Sa, will speak about what means to be a nonprofit and when you want to become one. She will expound upon the proper procedures it takes to become one in the eye of the government. Please contact Dan Kim for more information at 319-208-3712. Thank you! C (Capitalism) Corp. vs. S (Socialism) Corp.
During this session, Ying Sa, the firm’s CEO, will distinguish the vast difference between C-Corporation and S-Corporation. Attend the free class for a chance to understand the two business entities. SaYing seminars are known for its simplicity. The space is limited, so reservations are required. Please call to register and contact Dan Kim at 319-208-3712 today. During this session, Ying Sa, the firm’s CEO, will illustrate the uniqueness of the limited liability company. The free class will give you a clear understanding of the chameleon-like business entity which usually has people scratching their heads due to its complexity. To register, contact Dan Kim at 319-208-3712. During this session, Ying Sa, the firm’s CEO, will help you clearly distinguish sole proprietorship from the rest of the business entities and fully understand the pros and cons of having this entity. Take this time to learn at no cost from an expert with more than 20 plus years of experience. The space is limited, so reservations are required. To register, contact Dan Kim at 319-208-3712. Can I Start a Business with an ITIN#? You ask if you can start a business with just an ITIN#. The answer is YES! Ying will inform you how that can be done. It will go into the detail of teaching you what kind of business you can start with just the ITIN# and if you should file your business as a sole- proprietorship, LLC, S-Corp, or C-Corp. Please call in advance to reserve your seat by calling Dan Kim at 319-208-3712. Does business tax liability sound intimidating? It does not have to be once you understand what all this entails. Ying can help simply what this means and how as a business owner you can protect yourself from it! Feel free to call us whether you will be in attendance at 319-208-3712. 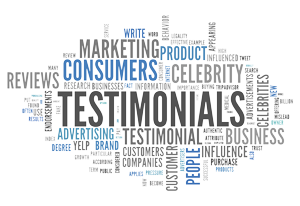 We will see you soon and we appreciate you for being a faithful supporter of SaYing Business Series! What is Community CPA's tax process? First, call for an appointment at 515-288-3188 (Des Moines office) or 319-208-3712 (Coralville branch) and tell us that you are new and would like to do taxes with us. Please bring your last three years tax returns and information you have for 2014 years and put them in one place so you can grab them and go. Lastly but not least, we recommend you to come to the appointment on time – during this time of the year your accountant is very busy so try not to come in late since we will have other appointments right after you. 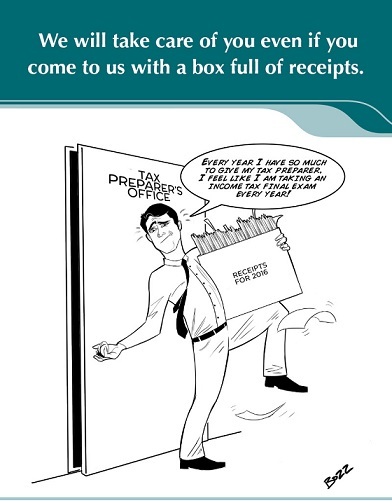 First, drop off what you have for 2014 tax filing at your convenience. While you drop it off at the office, please also make an appointment to review your return draft, normally we schedule it 10 days out. During this 10 days period, we might call you if we see shortage in documents. We will then see you and finalize your return or make a new plan on a need be basis. First, pick up the phone call us at 515-288-3188 or 319-208-3712 (Coralville branch) and tell our staff your situation and ask for an appointment. You can also email us at cpa@communitycpa.com. Feel free to visit our office with no appointment as we understand walk-ins and let your faith drive you instead of your schedule. 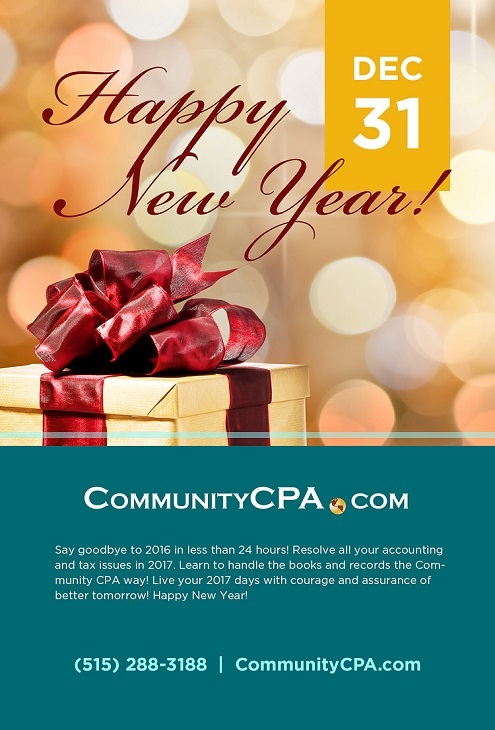 Welcome to Community CPA and have a great start in the year by doing your tax and accounting right! Do you practice company tax savings through scraping up every dollar from Starbucks Coffee? It is quite common. But, did you know the largest area most business owners are not aware of is in the tax structure! By the end of the seminar, you will be a tax professional! Please call us in advance to register and reserve your seat by calling Dan Kim at 515-720-5872. Thank you! 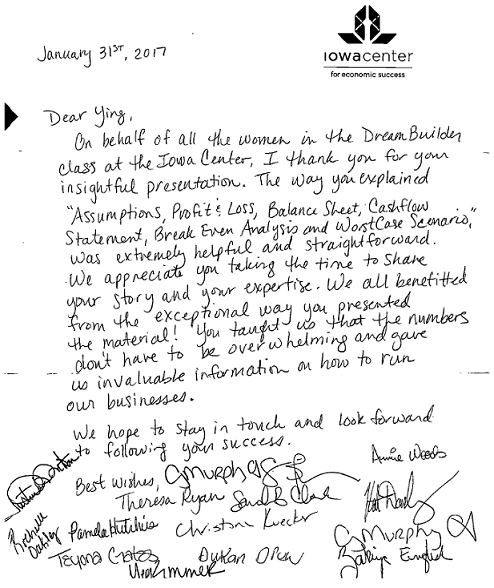 Did you miss the Des Moines seminar? Please come see us in Iowa City. Do you practice company tax savings through scraping up every dollar from Starbucks Coffee? It is quite common. But, did you know the largest area most business owners are not aware of is in the tax structure! By the end of the seminar, you will be a tax professional! We want to encourage you to call to reserve your seat by calling Dan Kim at 515-720-5872. We look forward to seeing you then! Thank you! Are You a Business Owner or Do You Want To Be One? As part of Community CPA's corporate responsibility, Community CPA has once again dedicated to be one of the presenting sponsors of Immigrant Entrepreneurs Summit. Immigrant Entrepreneurs Summit’s mission is to bring businesses of diverse backgrounds together to share, learn, and celebrate the immigrant entrepreneurship experience and contribution to the overall community. You will among seventy other entrepreneurial minded professionals and will get a chance to learn the essentials to not only survive but thrive during the most difficult times in the early inception. We will serve authentic Mexican breakfast to those who attend! For more information click here or call Dan Kim at 515-720-5872. We will see you there! As IES always says: Let's Grow Together! **Coralville branch will be closed Thursday, January 8th, as well as Friday, January 9th, then resume our normal business day Monday, January 12th. Thank you! **Both Des Moines Office and Coralville Branch will be closing at 1:00p.m. on Wednesday, December 31st, and closed on Thursday, January 1st. We will resume our normal business day on Friday, January 2nd. Thank you and Happy New Year! **We will be closing at 1:00p.m. on Wednesday, December 24th, and closed on Thursday, December 25th. We will resume our normal business day on December 26th. Coralville Branch will be closing at 1:00p.m. on Wednesday, December 24th, through the end of the week and resume Monday, December 29th. Thank you! SaYing III: How to Understand Financial Statements? 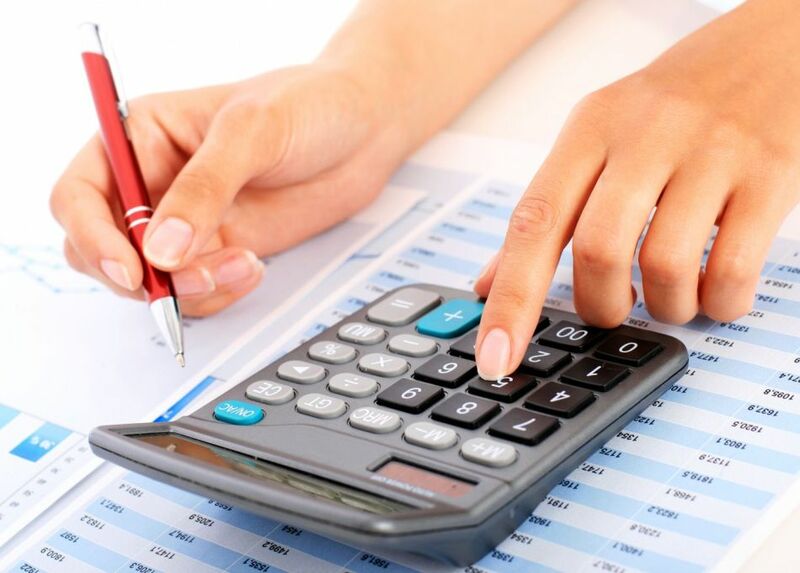 Financial statements are the most important documents in business. It leads you to make more money; save money and save more on taxes. We are talking about all kind of taxes. Please call us in advance to register and reserve your seat by calling Dan Kim at 515-720-5872. Thank you! Start-Up SaYing II: When Do I Hire My 1st Employee? Free Class: Rescheduled to December 15, 2014 -- Monday at 7:00 p.m.
Knowing when to hire the first employee can be confusing. Attend Ying's seminar to learn how to identify the signs in your business to confidently make the decision to hire your first employee. Please call in advance to reserve your seat by calling Dan Kim at 515-288-3188. Thank you! Free Class: Rescheduled to December 16, 2014 -- Tuesday at 7:00 p.m. If you cannot make it to Community CPA in Des Moines, then you can join us at the Coralville location. The seminar will be held at the Coralville Public Library located at 1401 5th St, Coralville, IA 52241. Knowing when to hire the first employee can be confusing. Attend Ying's seminar to learn how to identify the signs in your business to confidently make the decision to hire your first employee. Feel free to call Dan Kim, Coralville Branch Manager, at 515-720-5872. Thank you! SaYing Business Series: Start a Business with an ITIN#? Free Class: November 24, 2014 -- Monday at 7:00 p.m.
You ask if you can start a business with just an ITIN#. The answer is YES! Ying will inform you how that can be done. It will go into the detail of teaching you what kind of business you can start with just the ITIN# and if you should file your business as a sole- proprietorship, LLC, S-Corp, or C-Corp. Please call us in advance to reserve your seat by calling Dan Kim at 515-288-3188. Free Class: November 25, 2014 -- Tuesday at 7:00 p.m. If you miss the Monday seminar at Community CPA in Des Moines, then you can join us at the Coralville location. The seminar will be held at the Coralville Public Library, E. Jean Schwab Auditorium. The address is 1401 5th St, Coralville, IA 52241. We will see you then! Thank you! **In observance of Thanksgiving, Community CPA will only open from 9:00a.m. to 1:00p.m. on Wednesday, November 26th, and closed on Thursday, November 27th. We will resume our normal business day on Friday, November 28th. Thank you! New Coralville Branch officially opens 11/17/14! Visit us at 875 22nd Ave., Coralville, IA 52241! 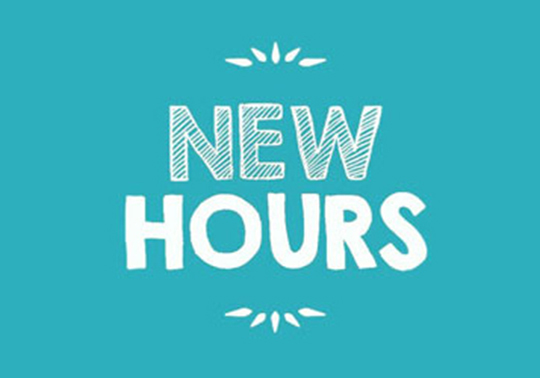 New branch office hours will be Monday through Friday from 9:00a.m. to 6:00p.m. Appointments or walk-ins are both welcome. To reach us at our new location, please call (319) 208-3712. Thanks to your years of support, Community CPA has finally stepped foot into a new chapter. We are reminded of how, without our loyal clients, caring partners, and hardworking staff, this would have been truly impossible. 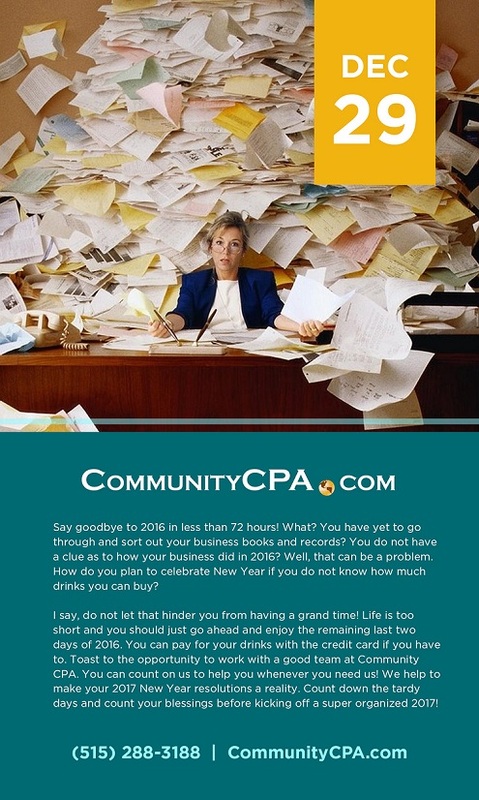 ***Please remember: Your success is Community CPA's success! SaYing New Business Series: Start a Business with an ITIN#? You ask if you can start a business with just an ITIN#. The answer is YES! Ying will inform you how that can be done. It will go into the detail of teaching you what kind of business you can start with just the ITIN# and if you should file your business as a sole- proprietorship, LLC, S-Corp, or C-Corp. Please call in advance to reserve your seat by calling Dan Kim at 515-288-3188. Please join us at Coralville Open House Celebration! 875 22nd Ave., Coralville, IA 52241 from 5:30p.m. to 7:30p.m. You will have a chance to get to know both the professional and fun-loving side of Community CPA. The event will take place in a nicely heated tent for your convenience and comfort. Not to mention there will be entertainment, free meals and deals, and door prizes at the event. At the open house, we encourage you to network with the local businesses and professionals we invited. It will be a great night. We look forward to seeing you there! Thank you very much! 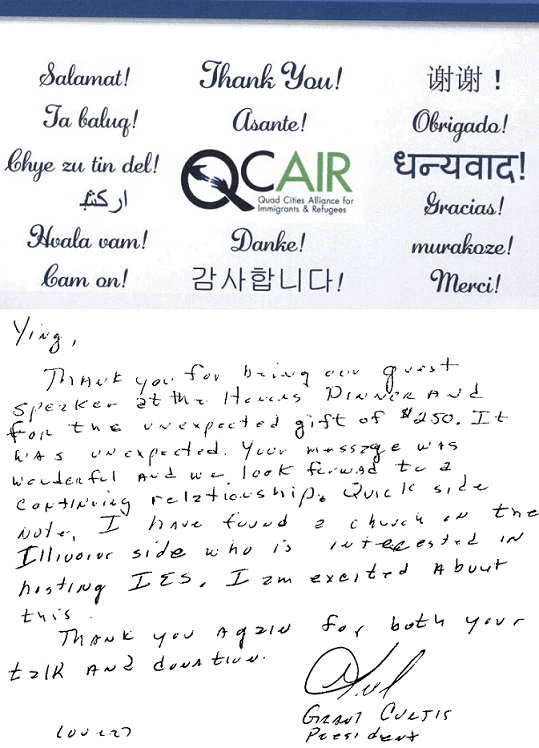 Thank you for joining us last Saturday at IES! Whether you are a business owner today or a potential business owner tomorrow, Immigrant Entrepreneurs Summit (IES) is for you. IES will maximize your business potential and provide you with the tools to be successful in your field of business! Please call Dan Kim at 515-288-3188 to register for 2015 Mini IES locations, dates, and time. You are welcome to join us this Saturday, Nov. 8, at IES! Location: 1055 SW Prairie Trail Parkway | Ankeny, IA 50023 - 9:00 a.m. to 5:30p.m. Whether you are a business owner today or a potential business owner tomorrow, Immigrant Entrepreneurs Summit (IES) is for you. Learning from more than twenty workshops covering a vast array of business topics to networking with key business players in Iowa, IES will maximize your business potential and provide you with the tools to be successful in your field of business! Please call Dan Kim at 515-288-3188 to register or visit: http://iesusa.org/mini-ies-registration/. Free Class: November 10, 2014 -- Monday at 7:00 p.m. Does business tax liability sound intimidating? It does not have to be once you understand what all this entails. Ying can help simply what this means and how as a business owner you can protect yourself from it! Feel free to call us to us you will be coming at 515-288-3188. See you soon and thank you for being a faithful supporter of SaYing Business Series! Start-Up SaYing V: How to Budget Your Growth! Free Class: October 27, 2014 -- Monday at 7:00 p.m.
Not a lot of people like to budget. This is why only a small percentage of small business owners end up succeeding. Ying will explain how to become the few that succeed. With the right plan and the right amount of discipline, you will be able to budget your growth. Please call Dan Kim at 515-288-3188 to register and reserve your seat. Thank you! Start-Up SaYing IV: How to Read a Financial Statement? Free Class: October 13, 2014 -- Monday at 7:00 p.m.
Do you have a difficult time to understand a financial statement? Ying will explain how to read a financial statement if you are a business owner or plan to become one in the future. Please call Dan Kim at 515-288-3188 to register and reserve your seat. Thank you! Start-Up SaYing III: When Should I Hire an Accountant? Free Class: September 22, 2014 -- Monday at 7:00 p.m. There is a point which a business owner much decide whether to continue to put on multiple hats, by being both the owner and the accountant, or hire a professional to manage the books. The seminar will help you to determine when the right time is for you and your business. Please call us in advance to register and reserve your seat by calling Dan Kim at 515-288-3188. Thank you! Free Class: Rescheduled to September 8, 2014 -- Monday at 7:00 p.m. Start-Up SaYing I: Start a Business with an ITIN#? Free Class: July 28, 2014 -- Monday at 7:00 p.m.
Free Class: July 14, 2014 -- Monday at 7:00 p.m.
During this session, Ying Sa, the firm’s CEO, will distinguish the vast difference between C-Corporation and S-Corporation. Attend the free class for a chance to understand the two business entities. SaYing seminars are known for its simplicity. The space is limited, so reservations are required. Please call to register and contact Dan Kim at 515-288-3188 today. **We will be closed in observance of Independence Day on Friday, July 4th. We will resume our normal business day on Saturday, July 5th. Individual Taxpayer Identification Numbers (ITINs) will no longer expire as long as you file your federal income tax return. In the meantime, the IRS any ITIN not used for five consecutive years will be deactivated starting 2016. Under the old policy, ITINs issued after Jan. 1, 2013 would have automatically expired after five years, even if used properly and regularly by taxpayers. ITINs play a critical role in the tax administration system and assist with the collection of taxes from foreign nationals, resident and nonresident aliens. Designed specifically for tax purposes, ITINs are only issued to people who are not eligible to obtain a Social Security Number. Four immigrant entrepreneurs will have the chance to win $5,000 for their business through a competition held at the Immigrant Entrepreneurs Summit this fall. The competition, sponsored by Wells Fargo, will be similar to the ABC television show Shark Tank, where businesses present their ideas to a panel of judges. To qualify, businesses must be owned by an immigrant and have less than $10,000 in sales in the past 12 months. Applications will be accepted between July 1 and August 1, and four businesses will be chosen for the competition to take place on Nov. 8 at the FFA Enrichment Center on the Des Moines Area Community College Ankeny Campus. For more information click here or call Dan at 515-288-3188. Free Class: June 30, 2014 -- Monday at 7:00 p.m.
During this session, Ying Sa, the firm’s CEO, will illustrate the uniqueness of the limited liability company. Attend the free class for a chance to simply understand the chameleon-like business entity which usually has people scratching their heads due to its complexity. The space is limited, so reservations are required. Please call to register and contact Dan Kim at 515-288-3188 today. June SaYing Series II: Everything About Sole Prop. Free Class: June 16, 2014 -- Monday at 7:00 p.m.
During this session, Ying Sa, the firm’s CEO, will help you clearly distinguish sole proprietorship from the rest of the business entities and fully understand the pros and cons of having this entity. Take this time to learn at no cost from an expert with more than 20 plus years of experience. The space is limited, so reservations are required. To register, contact Dan Kim at 515-288-3188. Did You Know that June 30 is the Due Date to File a FBAR? Do you have a foreign bank account that has over $10,000 balance at any time during the calendar year? You have a due date on June 30, 2014. If you have a financial interest in or signature authority over a foreign financial account, including a bank account, brokerage account, mutual fund, trust, or other type of foreign financial account, exceeding $10,000 at any time during the calendar year, then you must report the account yearly to the Internal Revenue Service a Report of Foreign Bank and Financial Accounts (FBAR). The FBAR must be filed on or before June 30. For each violations, the penalty is the greater of $100,000 or 50% of the balance in the account at the time of violation. For more information please visit the IRS website or call Community CPA at 515-288-3188 so we can file FBAR for you. Free Class: June 2, 2014 -- Monday at 7:00 p.m.
During this session, Ying Sa, the firm’s CEO, will help you understand the importance of being disciplined with your business capital and properly manage your budget. Take this time to learn at no cost from an expert with more than 20 plus years of experience. The space is limited, so reservations are required. To register, please contact Dan Kim at 515-288-3188. Thank you! Celebrating Mother's Day at Community CPA & Associates Inc. Celebrating Mother's Day for the first time at the office with all the mothers and future mothers of the firm. To all mothers out there: "Thank you for all that you do! We appreciate you!" Free Class: May 12, 2014 -- Monday at 7:00 p.m.
During this session, Ying Sa, the firm’s CEO, will help you understand the key business ratio; components necessary for your business. Take this time to learn at no cost from an expert with more than 20 plus years of experience. The space is limited, so reservations are required. In order to register, please contact Dan Kim at 515-288-3188. We will see you soon! Deadline to file partnerships and individual tax returns for the year 2013 is tomorrow, April 15. If you are not ready to file at this time and need an extension, please call us at 515-288-3188. We can save you the hassle from dealing with the IRS for only $50. This will provide you with an extra six months to file and a peace of mind. An estimated payment of the tax is not extended and will need to be paid still by April 15, but we can help you with this! Free Class: April 14, 2014 -- Monday at 7:00 p.m.
During this session, Ying Sa, the firm’s CEO, will help you understand the importance of a financial statement while having your own business. She will explain the need for the financial statement for your small business at the start-up to the exit stage in the business life cycle. Questions are always encouraged. Take this time to learn at no cost from an expert with more than 20 plus years of experience. The event is open to everyone, but the space is limited, so reservations are required. In order to register, contact Dan Kim at 515-288-3188. Thank you! To be claimed as dependent, your child must meet the qualifying child test or the qualifying relative test. In order to meet the qualifying child test, your child must be younger than you and, as of the end of the calendar year, either be younger than 19 years old or be a student and younger than 24 years old. There is no age limit on claiming your child as a dependent if the child meets these qualifying relative test. If I claim my son as a dependent because he is a full-time college student, can he claim his own personal exemption when he files his return? If you can claim an exemption for your son as a dependent on your income tax return, then he cannot claim his own personal exemption on his income tax return. In this case, your son should check the box on his return indicating that someone else can claim him as a dependent. I retired last year and started receiving social security payments. Do I have to pay taxes on my social security benefits? Social security benefits include monthly retirement, survivor, and disability benefits. They do not include supplemental security income (SSI) payments, which are not taxable. Social security benefits must be included in your income tax return and used to calculate your income tax liability depends on the total amount of your income and benefits for the taxable year. If you are married and file a joint return, you and your spouse must combine your incomes and social security benefits when figuring the taxable portion of your benefits. Even if your spouse did not receive any benefits, you must add your spouse's income to yours when figuring if any of your benefits are taxable, if you file a joint return. Mathematical errors are caught in the processing of the tax return itself so you may not need to correct these. If you did not report all of your income or did not claim a credit, you should file an amended or corrected return using Form 1040X, Amended U.S. Individual Income Tax Return. Include copies of any schedules that have been changed or any Form(s) W-2 you did not include. 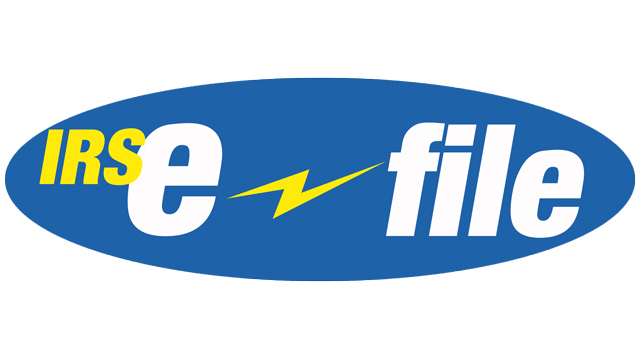 File 1040X only after you have filed your original return. Generally, for a credit or refund, you must file Form 1040X within 3 years (including extensions) after the date you timely filed your original return or within 2 years after the date you paid the tax, whichever is later. The IRS usually takes any where from 8-12 weeks to process an amended return. 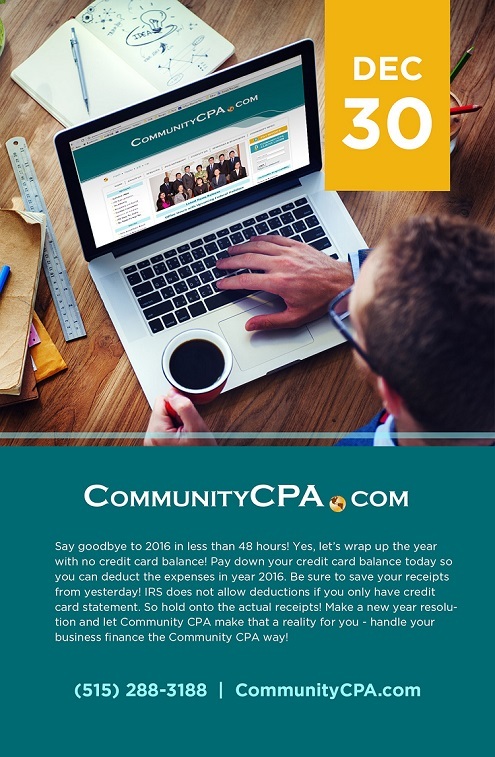 For more information, you can always contact Community CPA & Associates Inc. Ying, and the rest of the CPA team, is ready to help you with your 2013 tax filing! Free Class: March 24, 2014 -- Monday at 7:00 p.m.
During this session, Ying Sa, the firm’s CEO, will bring you up-to-date on tax basics, planning, and strategy for business owners and prospective business owners. She will also talk about important changes to the tax code that could impact tax returns and planning. We are also excited to have a special guest from Minnesota, Lihua He, come and share her expertise in the field of investment with us. Questions are always encourage. Take this time to learn at no cost from a tax expert and an investment specialist. The event is open to everyone, but the space is limited, so reservations are required. In order to register, contact Dan Kim at 515-288-3188. Deadline for corporate tax returns (Forms1120, 1120A, and 1120S) for the year 2013, or to request automatic 6-month extension of time to file (Form 7004) for corporations who use the calendar year as their tax year (The normal deadline for corporate returns is March 15th, but this falls on a Saturday, so the deadline is pushed to the next business day on March 17th). Payment of the tax is still due by March 17th. You can submit payment for tax along with the extension form. Deadline to file individual tax returns (Form 1040, 1040A, or 1040EZ) and partnerships (Form 1065) for the year 2013 or to request an Automatic Extension (Form 4868). An extension provides an extra six months to file your return. Payment of the tax is still due by April 15th. You can submit payment for tax along with the extension form. Deadline for non-profit organizations to file information returns (Form 990) for the year 2013, or request an extension (Form 8868).